What is a couple’s average investment for wedding photography? It varies! My packages begin at $1700. Depending on what you deem most important for me to capture, we will customize a package unique to you in order to maximize my coverage time! Engagement sessions are included in each package! What are the details about the engagement shoot? The engagement shoot is my favorite part of booking a couple for their wedding day! It gives both of us a chance to see how the other works. We’ll pick one or two locations and the main goal is to laugh, have fun and get to know each other! The session typically lasts between 1 – 1.5 hours. It’s a great chance for you to get used to being in front of the camera and gives me a chance to learn more about the two of you and what makes you each unique. Choose 2 – 3 outfits and let’s have some fun! You’ll receive an Engagement Session tips and tricks email two weeks before your scheduled session to help you prepare for what’s to come (and outfit ideas!!). Does ACP work from a shot list? Sort of! I work with my brides on what details are most important to them and incorporate a standard list of “must have” shots for the day. The couple also provides a detailed family list and combinations to make sure all the VIP’s are included 🙂 The rest of the day I shoot what I see in front of me – it’s an amazing advantage to have the flexibility to not worry about a “list” to achieve, but rather, document the day as it’s happening! How many hours are included in ACP’s wedding package? It varies. Full day coverage begin with the bride at hair and make-up and usually end around 30 minutes into the dance. The beauty of owning your own business is being able to offer hourly packages, as well. Let’s chat about what sort of coverage you’re looking for, and we’ll make it work! Do you offer a second shooter? If you are interested in another shooter for the day, we can definitely arrange this! Additional fees apply. Where are you located? I am located in the Red River Valley in North Dakota! I regularly shoot weddings in Grand Forks, Fargo / Moorhead, Detroit Lakes, MN and Minneapolis, MN. Beyond that, I have traveled as far as Florida for destination weddings! My greatest passion in life is traveling – so let’s go somewhere fabulous!! What is your favorite type of wedding to shoot? My favorite weddings are those that are shot all at ONE location – starting with Hair/Make-Up all the way through the dance! These unique, all-in-one-venues offer a wide-array of options and an effortless timeline for your entire day 🙂 Having everyone at one location all day creates less confusion, less stress, and so much more time for portraits! Here’s an example. What do you think distinguishes your work from that of other photographers? My laid-back personality and ability to be one step ahead during the day creates a positive and exciting atmosphere for my clients. I go above and beyond to get the perfect shot of your day (even if it means getting knee-deep in a lake) all while making sure everyone involved feels comfortable and is having fun. I’m very go-with-the-flow and know how to stay calm during the unexpected things each wedding encounters. Do you have backup equipment? Yes! 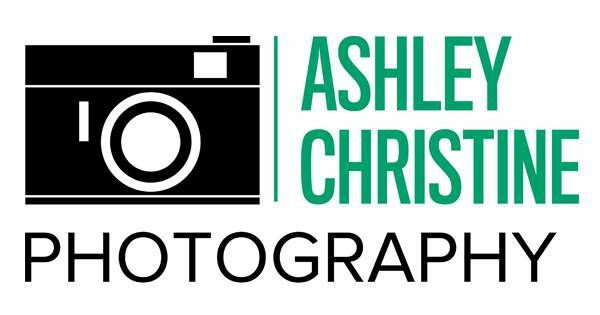 I shoot with 2 DSLR full-frame Canon cameras, a variety of five different lenses, and a multitude of other important equipment on the day of your wedding (lighting, flashes, etc.) I am well prepared for any situation I encounter. How many images can I expect to see from my wedding? I shoot 2,000-3,000 images at each wedding. Expect to see anywhere between 500-600 images from your day on a personalized flash drive in the mail! How long does it take to see images from my wedding? Since Social Media is taking over the world, you’ll see a few sneak peeks on my Facebook and Instagram accounts soon after the big day! Please allow four to six weeks for your flash drive to be delivered. When is the balance due? The balance is due two weeks prior to your wedding date.